This tasty tuna is a heart health bonanza. High in Omega-3, potassium, manganese, zinc, vitamin C and selenium. Whisk ingredients in small bowl. Pour marinade over fish and turn to coat. 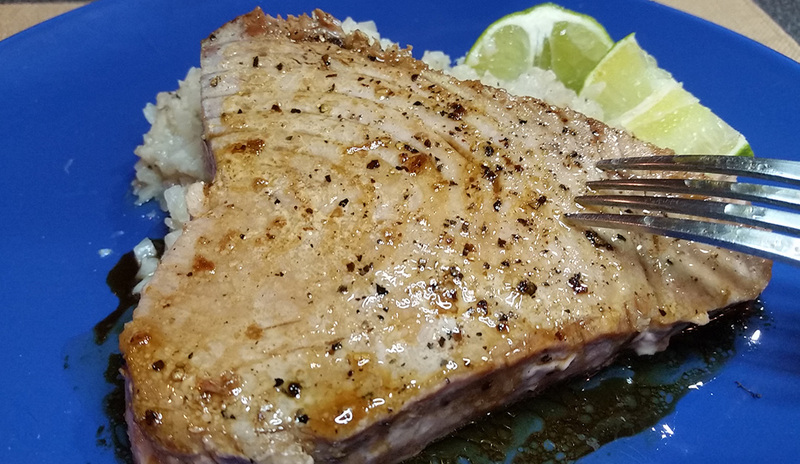 Cover and let marinade for 30 minutes at room temperature or 1 hour in the refrigerator, turning fish over once or twice and spooning marinade over. Remove from marinade and reduce a little to make glaze. Pat the steaks dry and oil the grill. Grill on medium high about 2 minutes on each side for medium rare.